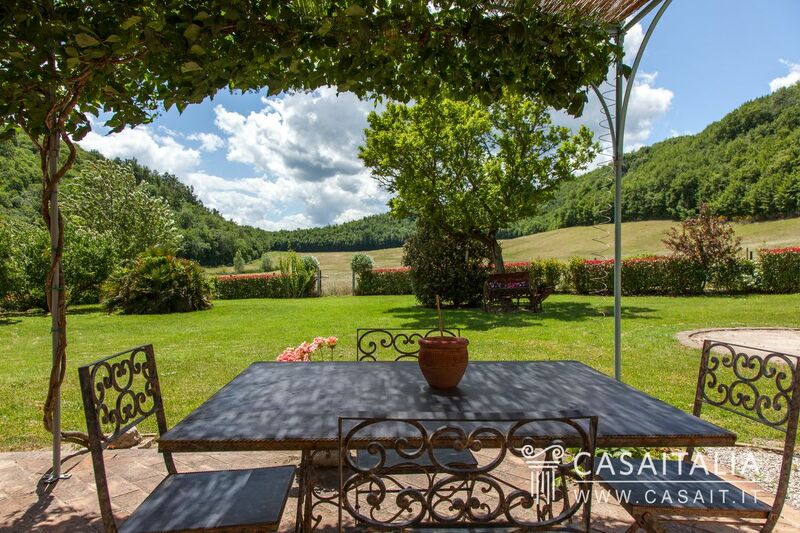 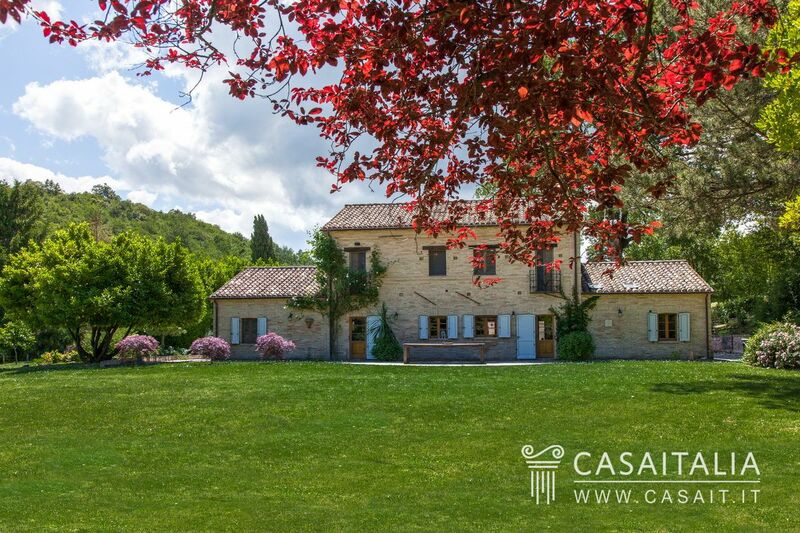 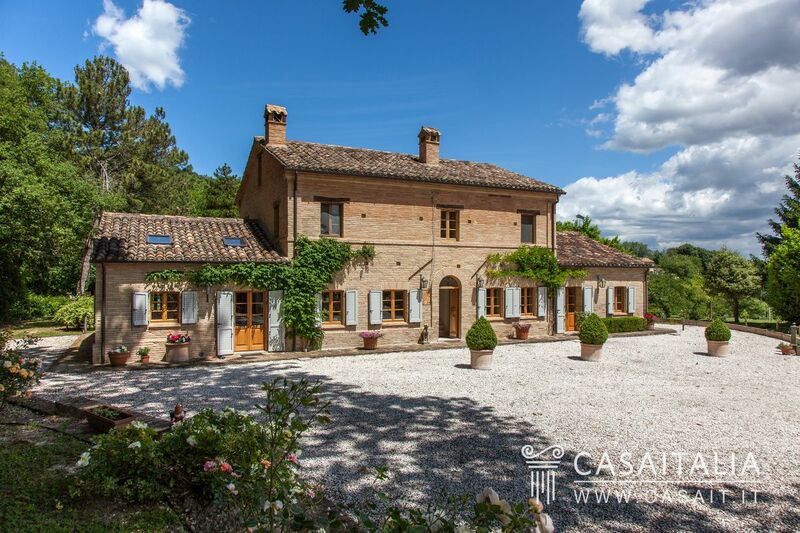 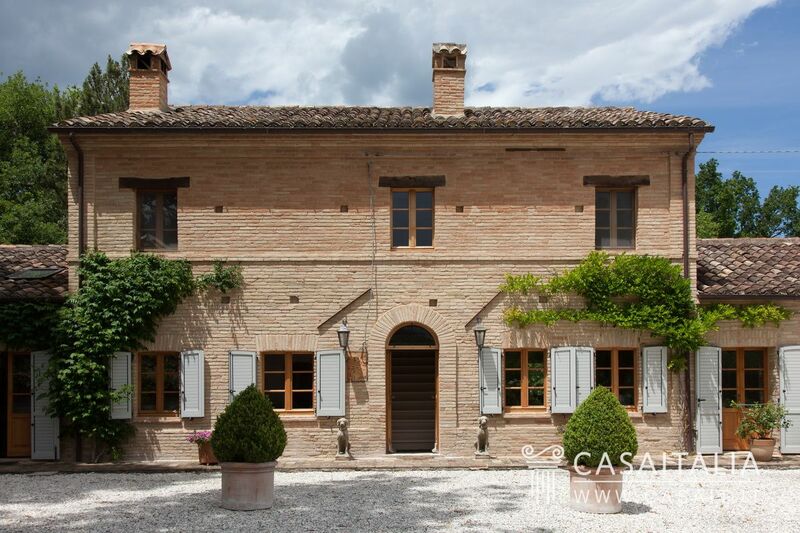 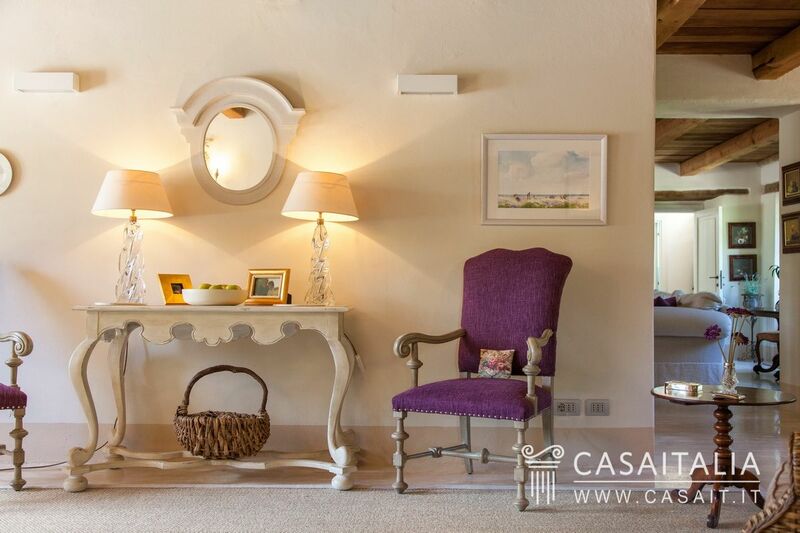 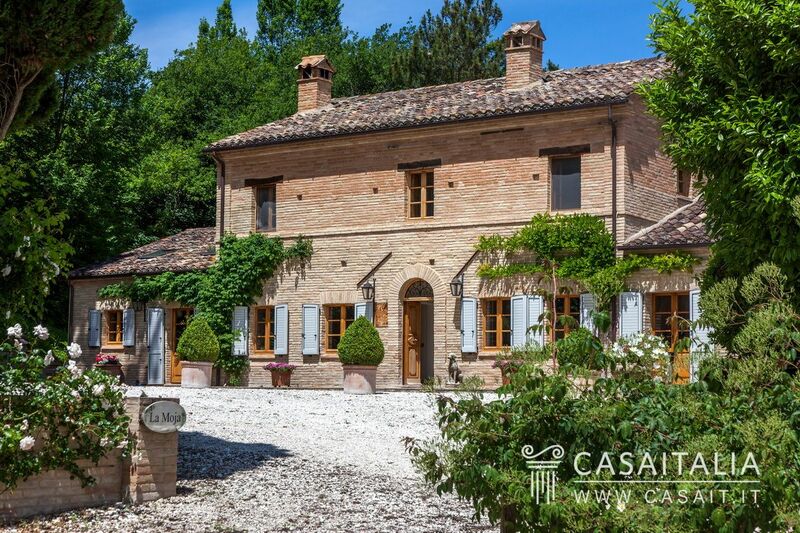 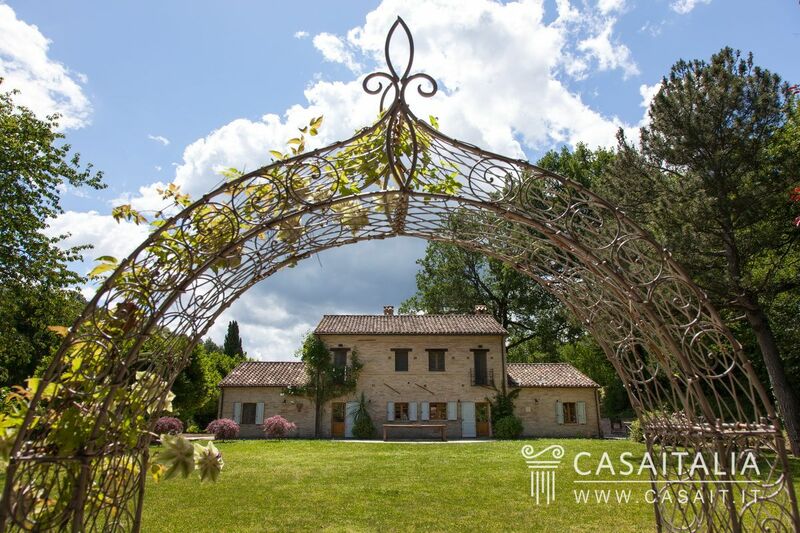 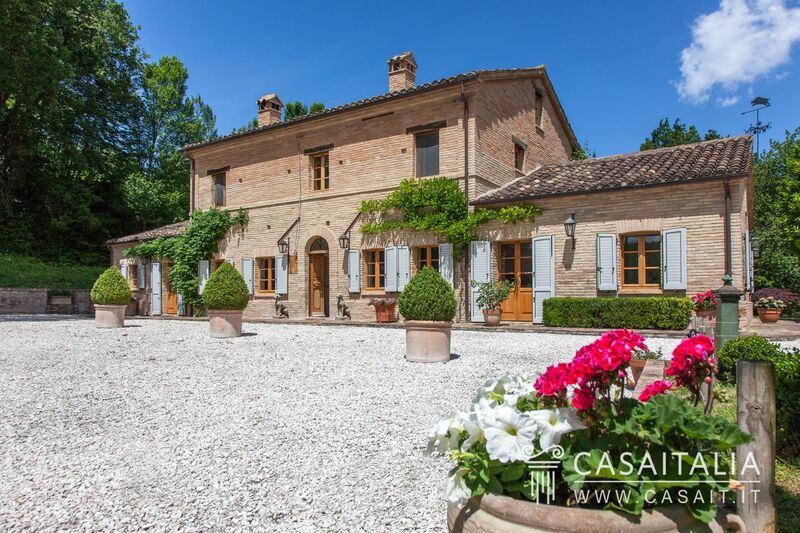 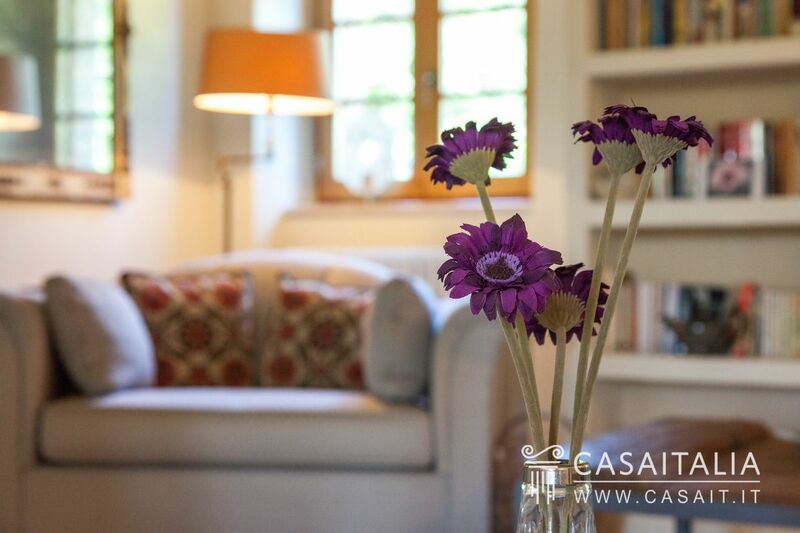 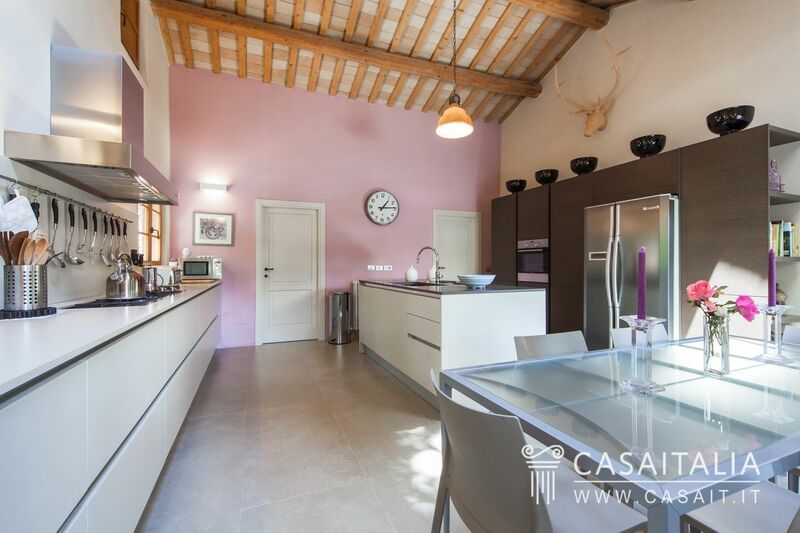 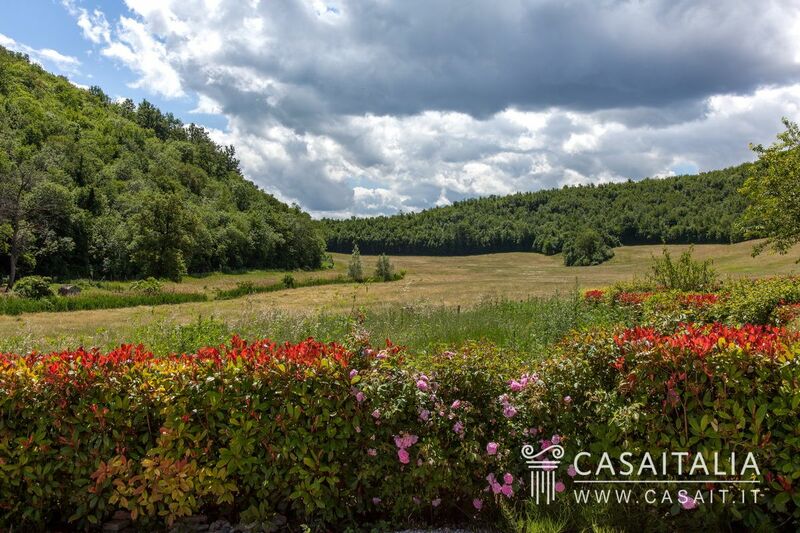 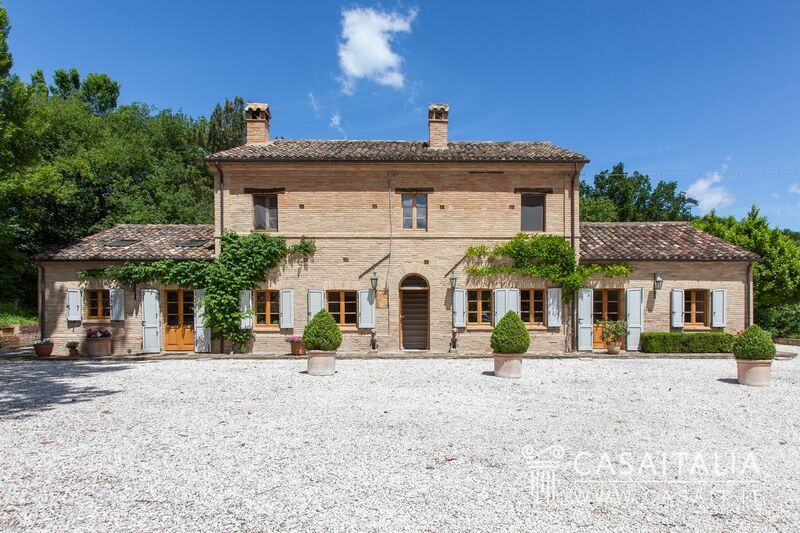 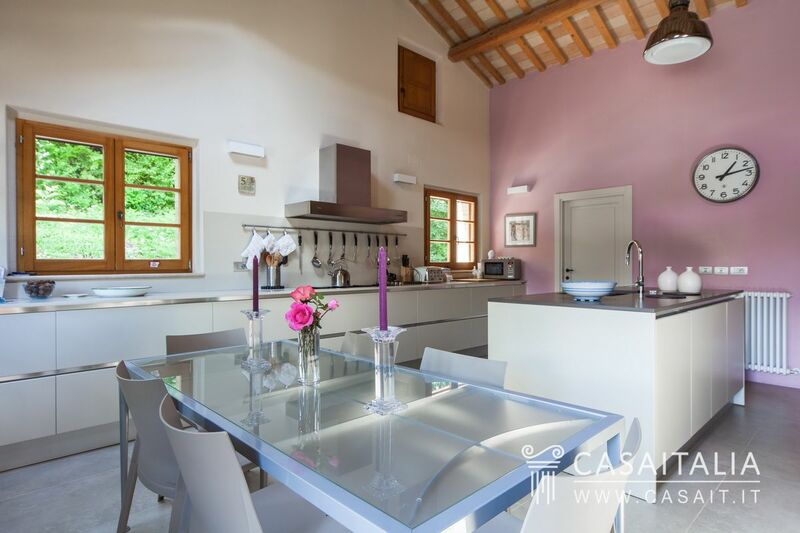 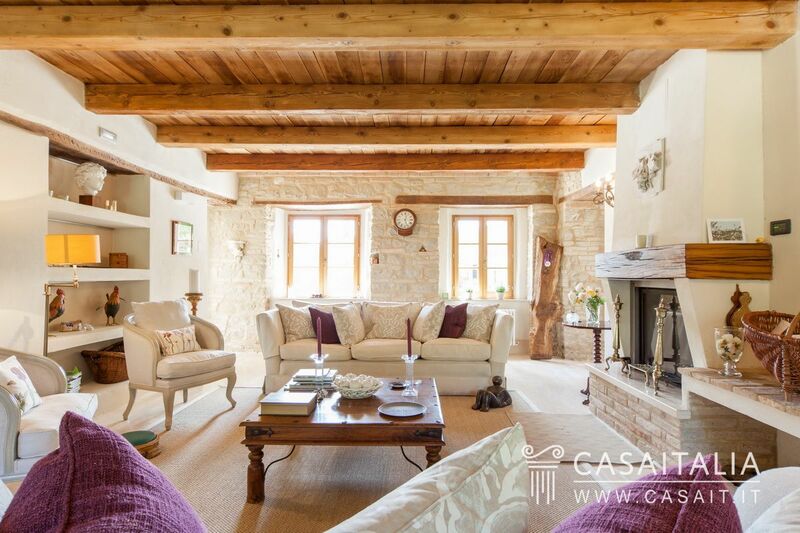 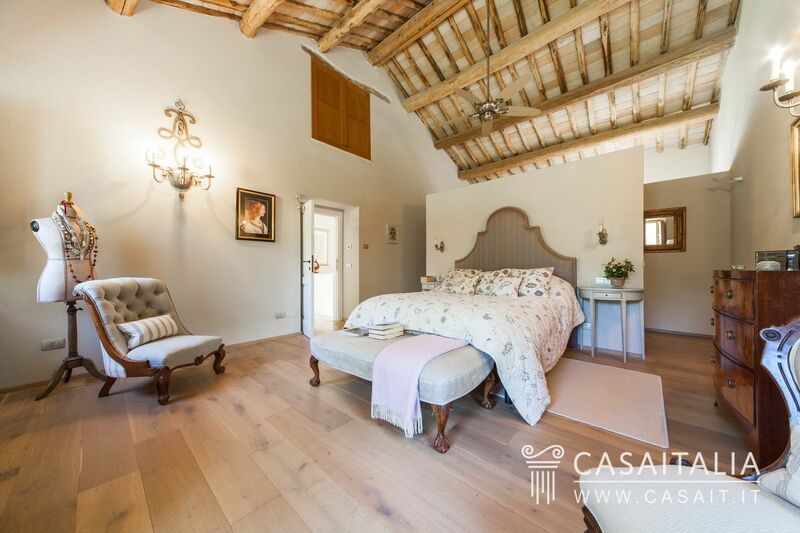 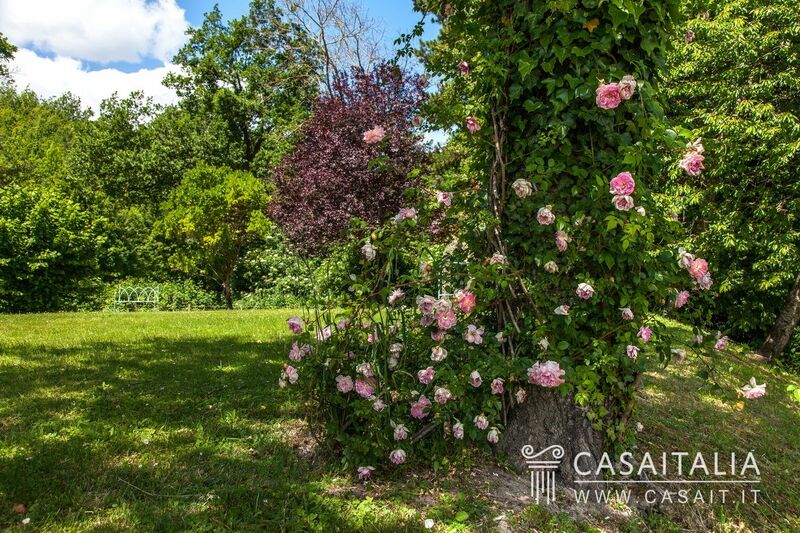 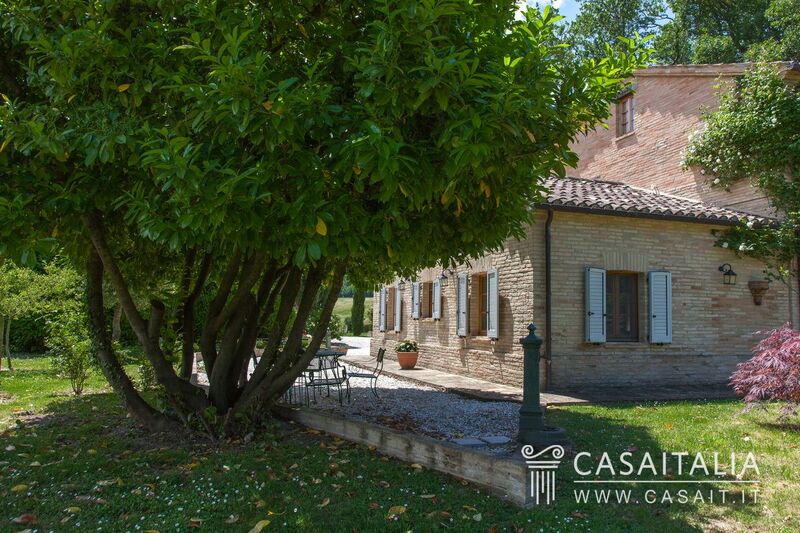 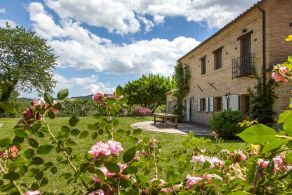 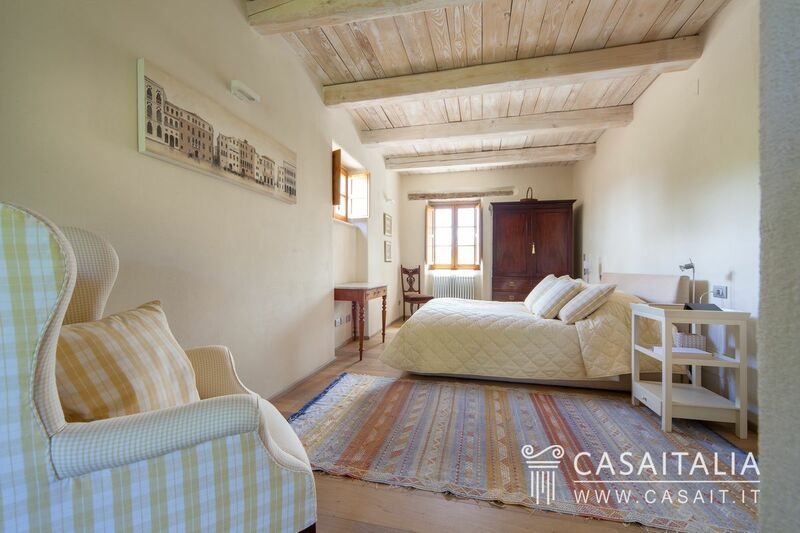 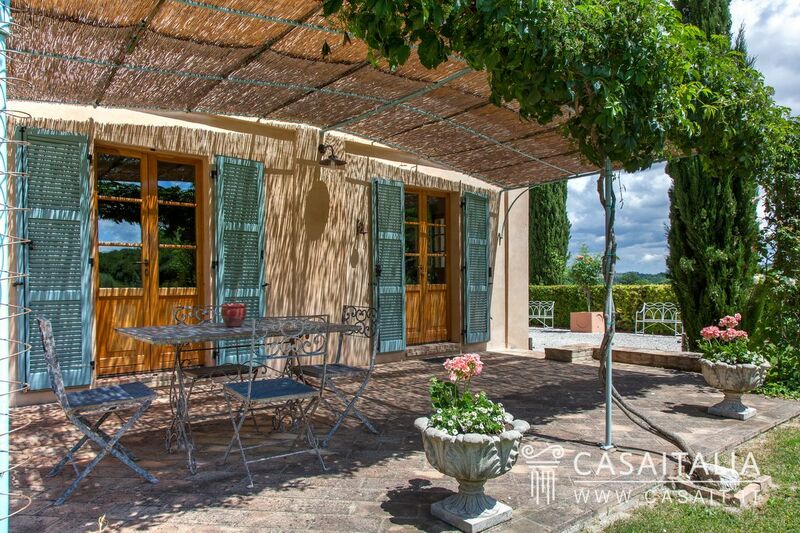 Casale Rosaspina is set in the green hills of Le Marche in a secluded and easily accessible location. 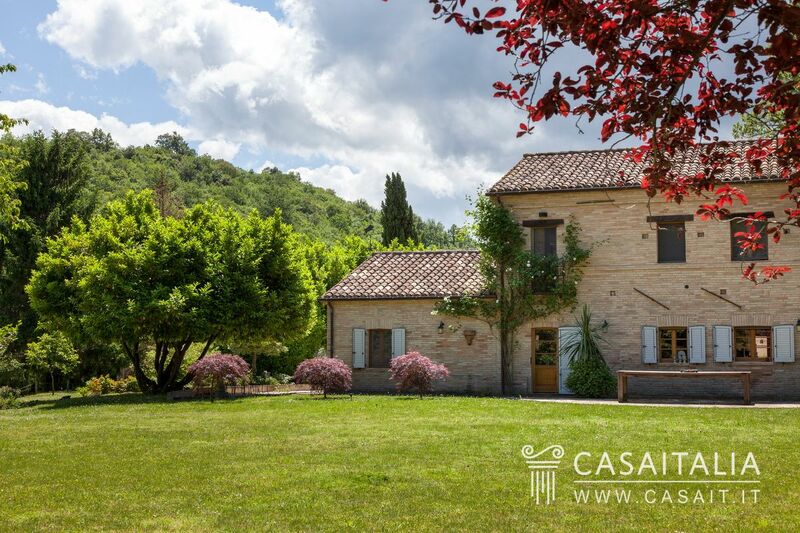 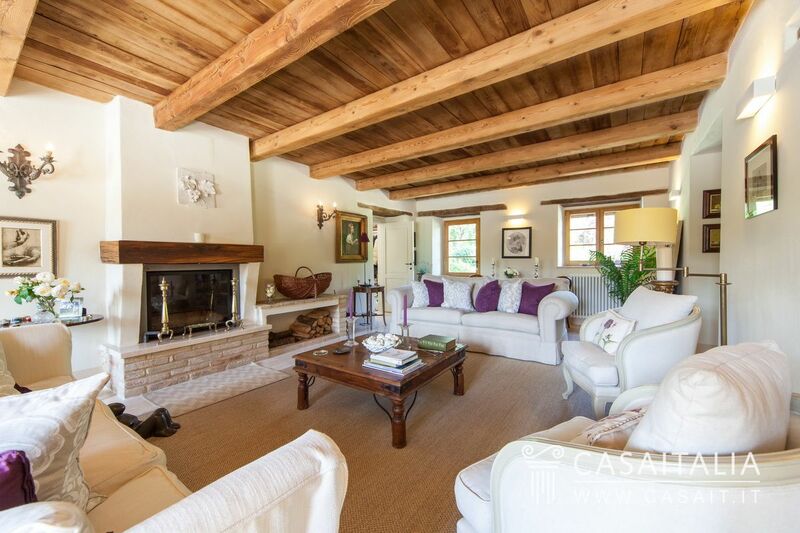 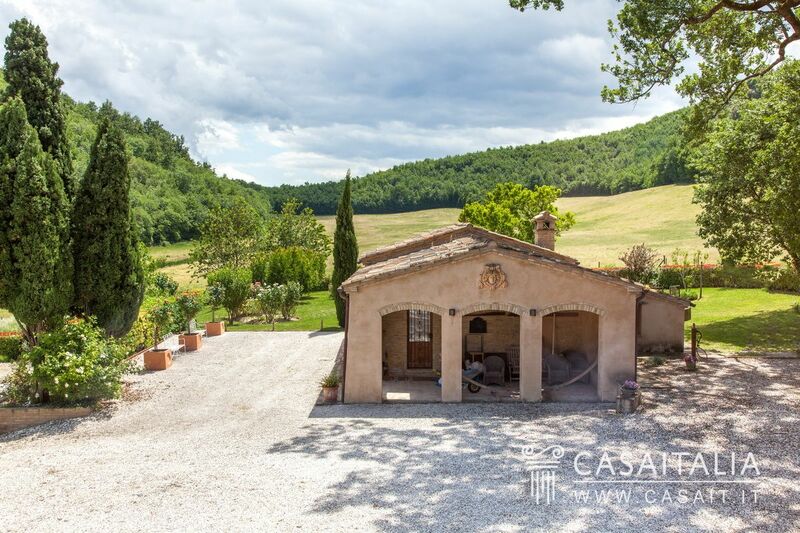 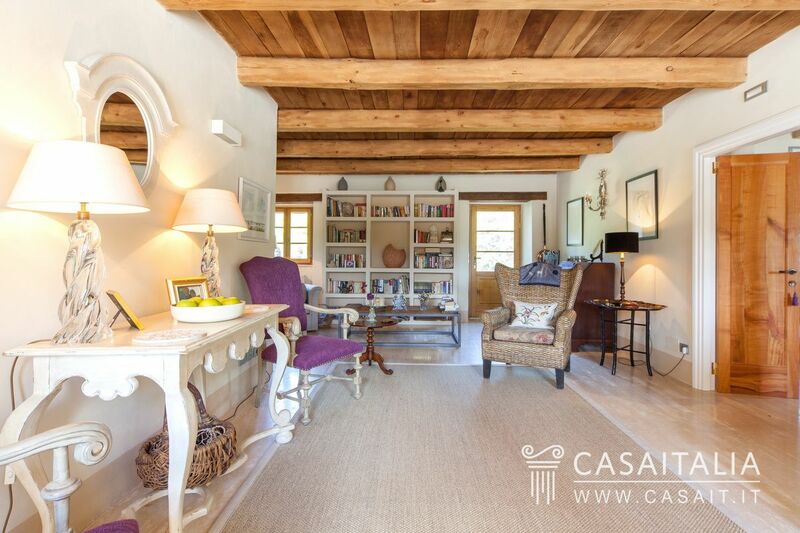 The property comprises the main farmhouse and an annex, surrounded by over 4 hectares of private land. 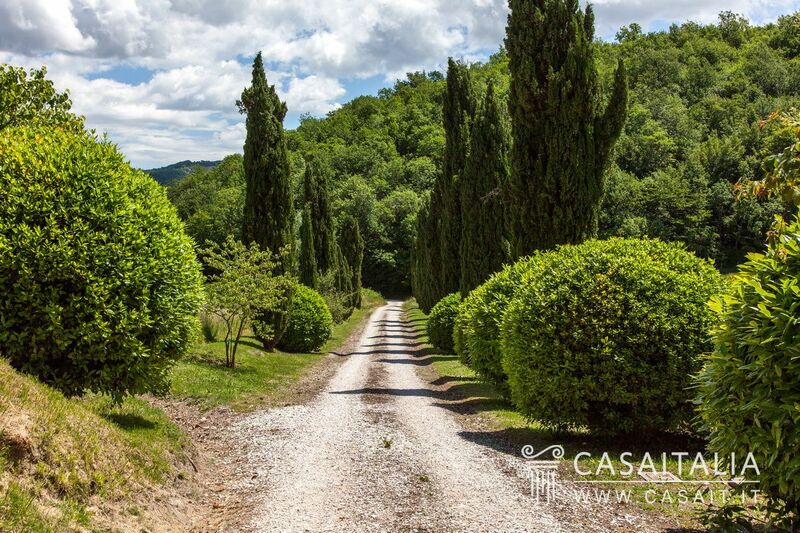 The nearest populated area, the place to go for daily purchases and necessities, is Cessapalombo, 3 km away and reachable in 5 minutes by car, while San Ginesio, another ‘jewel’ included in the “Most beautiful villages in Italy” is just 13 km away. Camerino (also awarded an Orange Band for its beautiful landscape and the variety of tourist accommodation) and its old university is half an hour away by car (30 km), while the beaches of the Adriatic (Porto San Giorgio and Civitanova Marche 60 km) can be reached in about an hour. 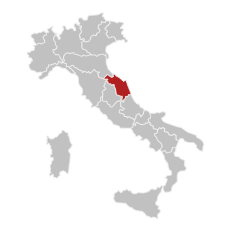 The nearest airport is Ancona, which is 108 km away (about an hour and 20 minutes by car). 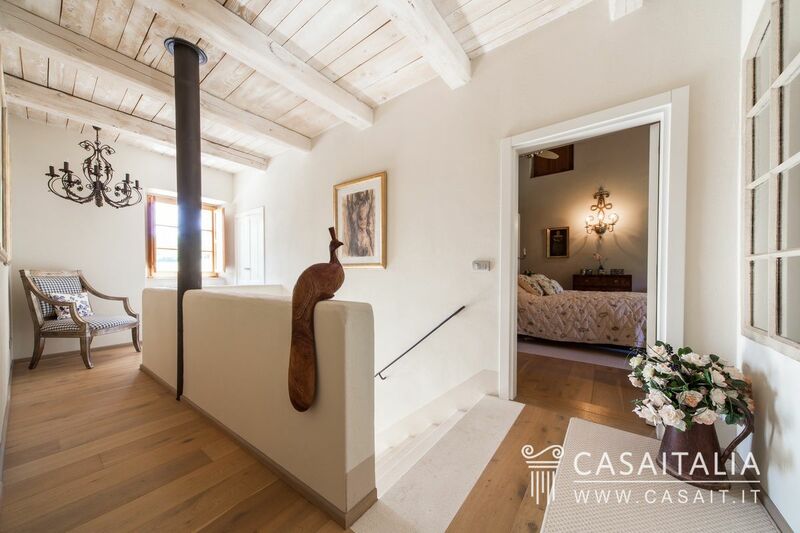 Over two floors, the main house has a total surface area of around 317 sq.m. 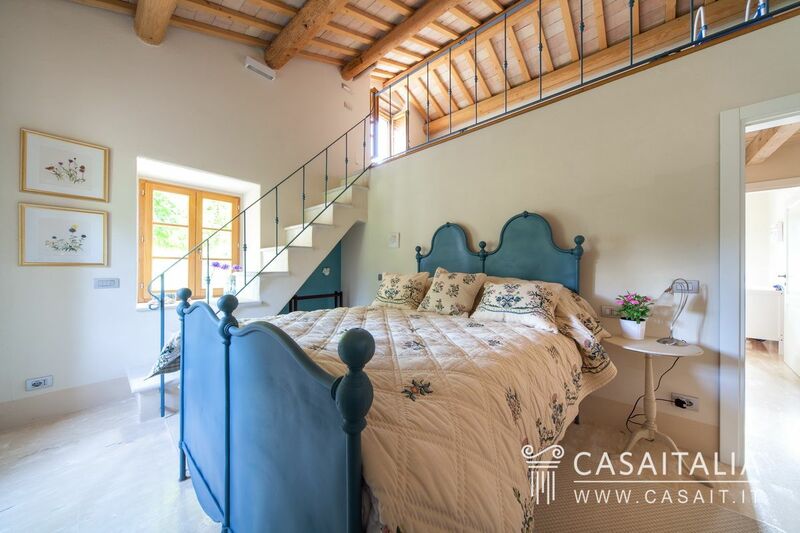 On the ground floor, there is the living room with fireplace, a large kitchen, two bedrooms, one with mezzanine, two bathrooms (one for the bedrooms and one for the living area) and a large sitting room/studio with stairs to the upper floor. 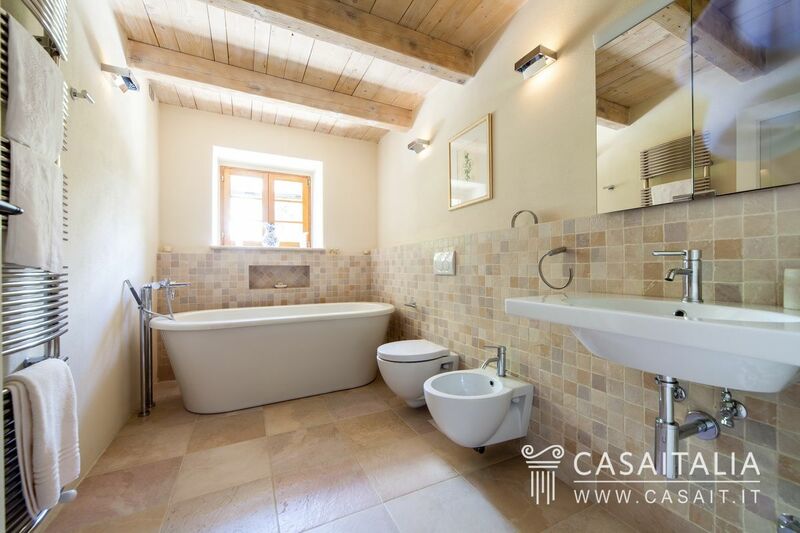 On the first floor there are two further bedrooms, each with its own bathroom. 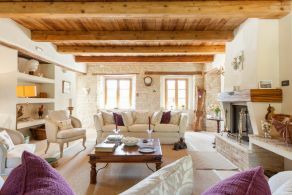 The annex, a short distance from the farmhouse, has a total surface area of around 60 sq.m and comprises kitchen/living room, with access to a porch which faces the main house or to a pergola overlooking the garden, two bedrooms and two bathrooms. 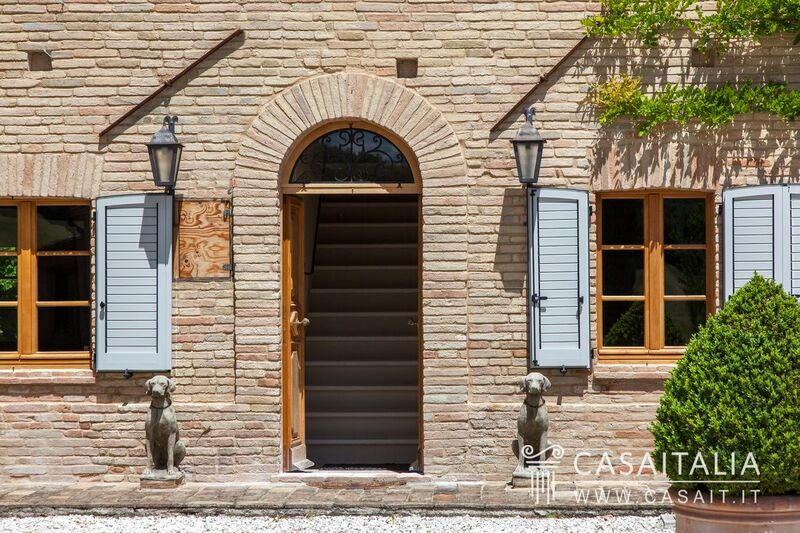 The main house has been restored and is in perfect condition. 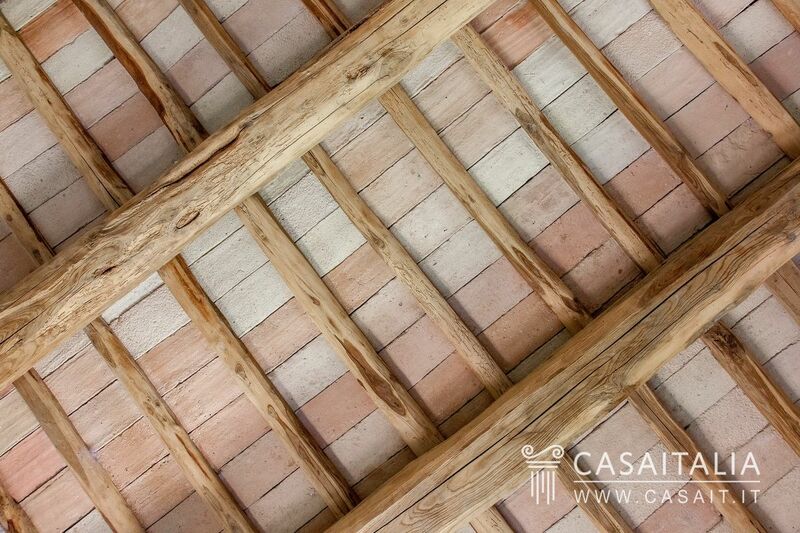 It has been built using bricks which are typical of Le Marche’s architecture, while inside the ceilings are wood or wood and tile, with some white to provide more light. 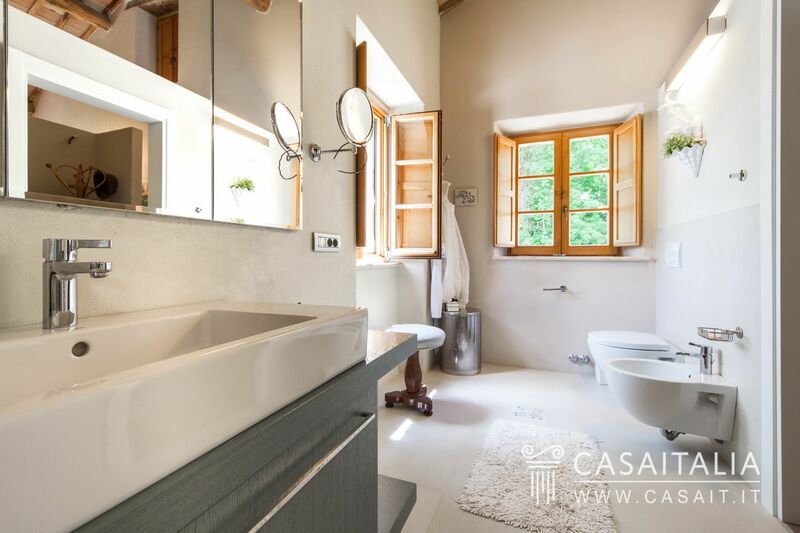 The floors are part travertine tiles and part wood, the walls are painted with bright and warm pastel colours and the bathrooms all have modern furniture, fixtures and fittings. 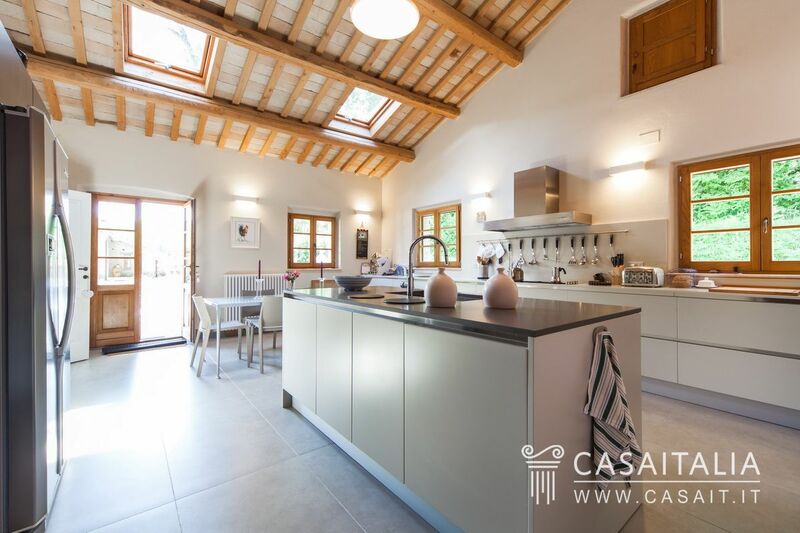 The kitchen, which is large and bright, features an island with sink and floors with large tiles. 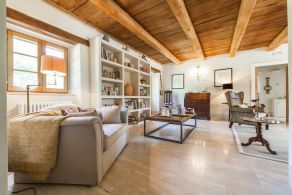 The annex is also in perfect condition. A lane, lined with cypress trees and large, perfectly manicured hedges, leads to the buildings: on the right hand side there is the main house, and on the other the annex, surrounded by a large garden with English lawn, from which extends the property’s land, with woodland and fertile fields, adding up to 4 hectares on which, if desired, it would be possible to build a swimming pool. 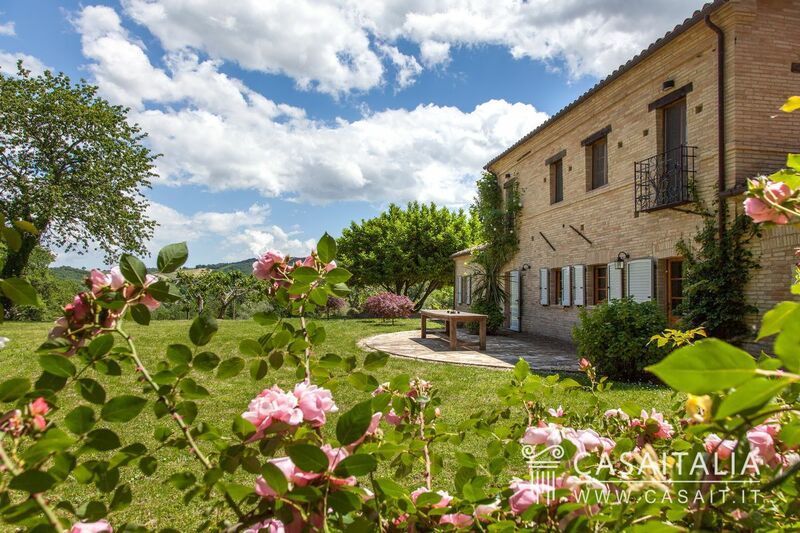 The diverse landscape of Le Marche, with its little villages nestling in the hills and with the beaches of the Adriatic sea, is a tourist destination for both Italian and foreign visitors, who often decide to buy a house in which to spend a few months of the year or for holidays. 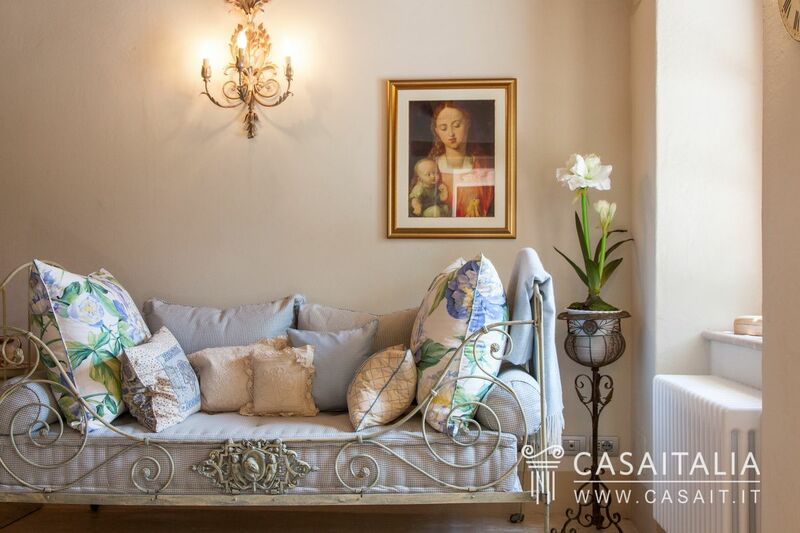 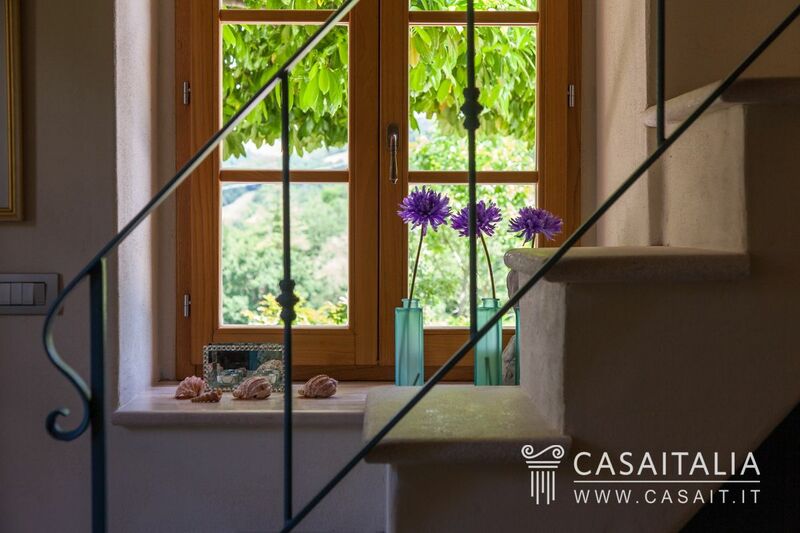 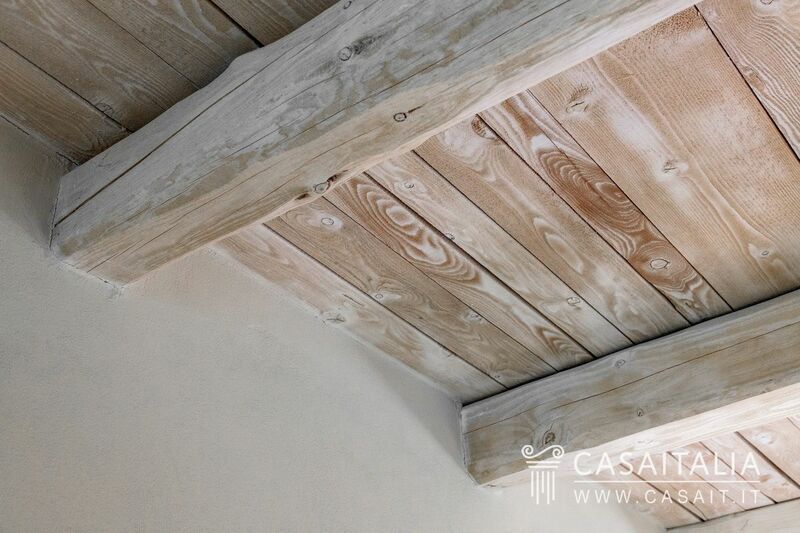 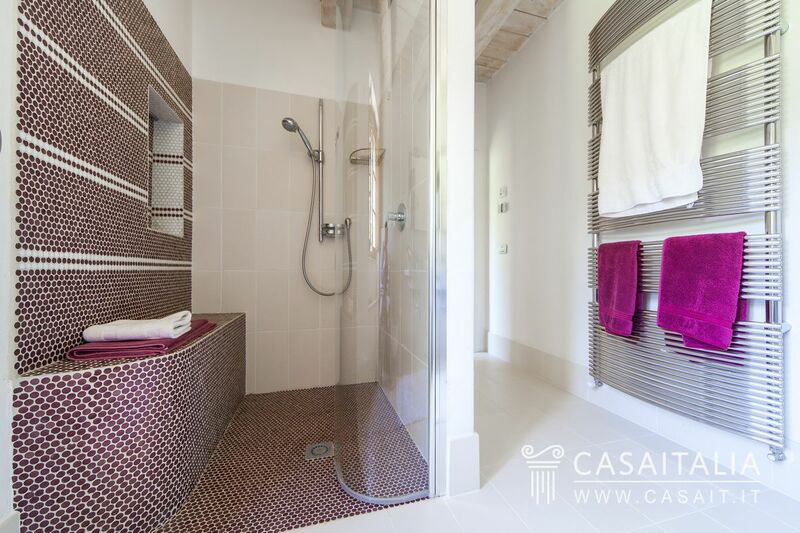 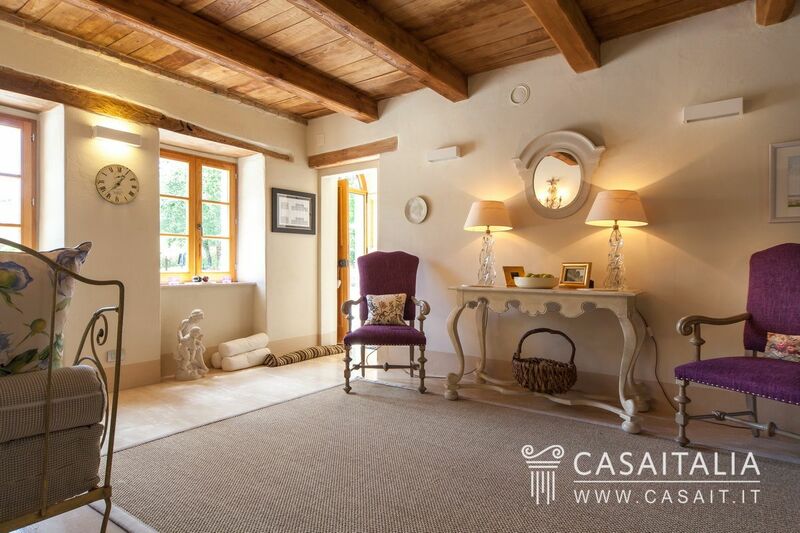 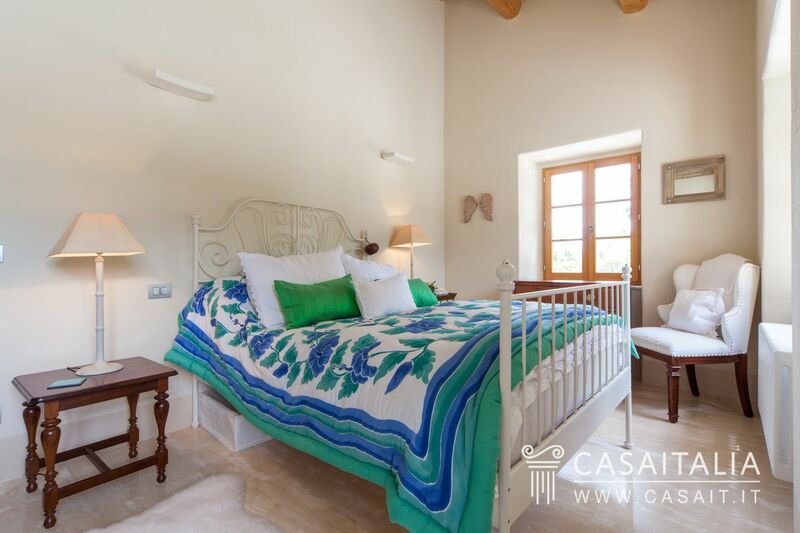 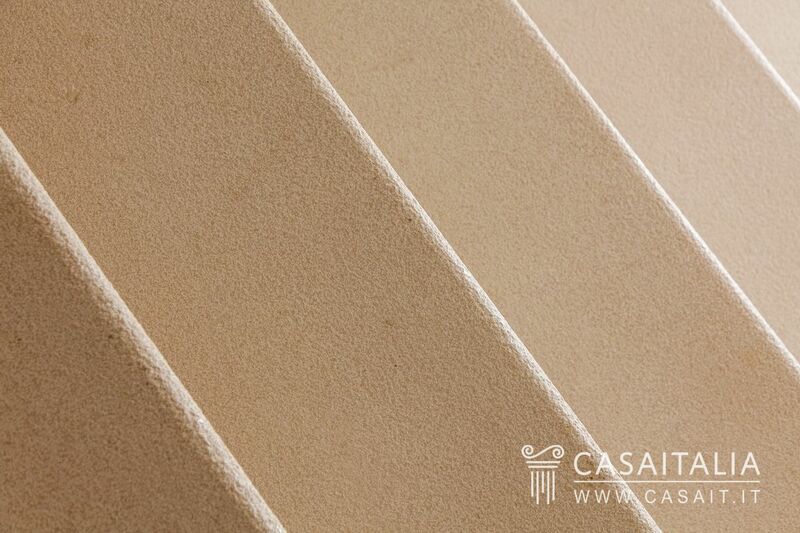 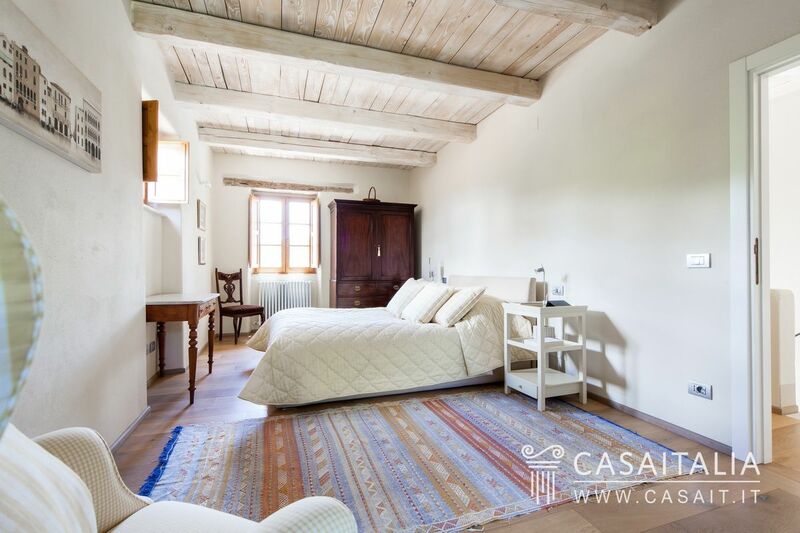 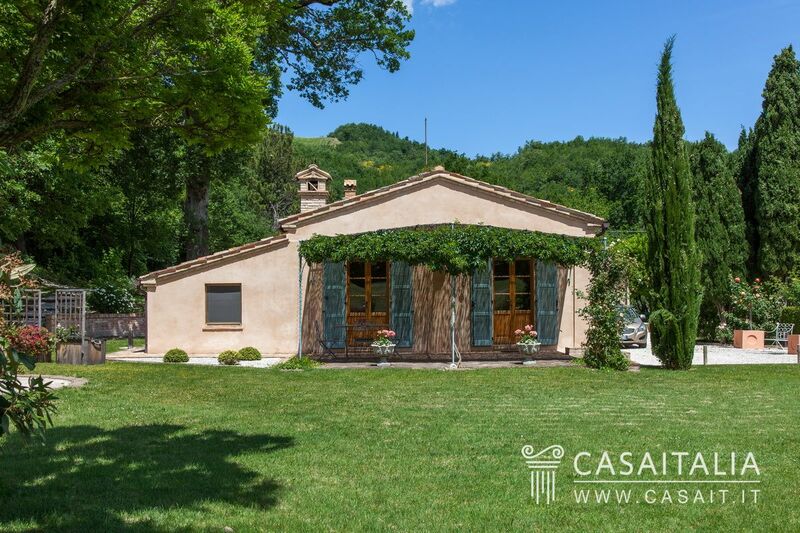 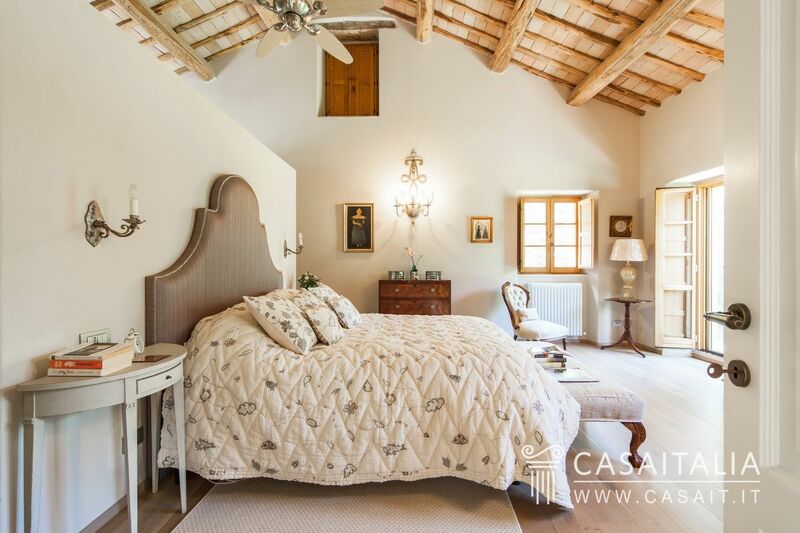 Casale Rosaspina is ideal for those looking for a similar solution, thanks to its annex which makes it possible to host friends or relatives while maintaining privacy. 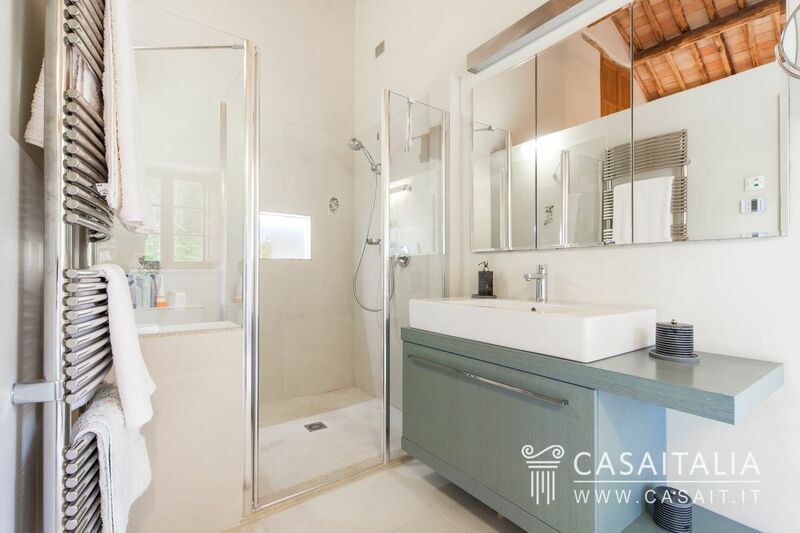 In addition, the large tourist population means the property could provide a rental income through short-term lets on a weekly basis while not in use.